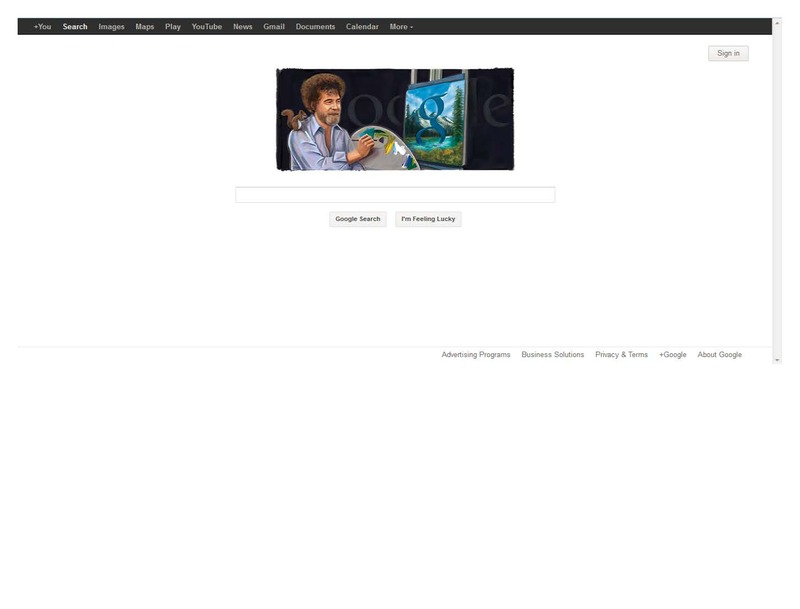 Google has kindly reminded me that today is Bob Ross’ 70th birthday. My childhood memories of painting all originated from this great man. Besides his out-of-control afro, I was always amazed and astonished by his scenic masterpieces, created with such ease and composure. He made you think that you could do it too. This shows how uneducated I am in the field of modern art, but to this day, to the core of my being, I believe Bob Ross is the greatest painter of this century (haha). I look at Picasso, or some other abstract creation, and I always think, “Bob Ross is totally better than that.” You know those paintings that look like someone just stood over the canvass, threw down some paint, and titled it “Paint Thrown From Above”? Ok, maybe not exactly like that, but you get the point. Bob Ross could out paint all those folks. So here is a shout out to Bob Ross. A piece of my childhood. A legend in my mind. Happy Birthday, and Rest in Peace.